"THE INDUSTRY-LEADING FRAUD MITIGATION PLATFORM." Kount central includes several modes of operation maximizing protection for processors and merchants while increasing order acceptance rates, dramatically reducing chargebacks and the need for manual review. Kount central makes it easy to match the level of protection to the merchant, from F500 to long-tail, adding to topline revenue and bottom line profits. Using your branded interface, Kount Central gives SMb merchants the ability to monitor and manage their own fraud and risk thresholds . Added service means revenue stream possibilities. Fraud-reduction- Kount central analyzes data points around real-time transactions to identify and minimize business losses from fraud. Fraudsters using bots and other advanced techniques are quickly adapting static fraud detection methods. Kount's software as a service platform helps online merchants approve more orders,uncover new revenue streams, simplify fraud detection and dramatically improve bottomline profitability. I fully recommend this service to help you maximize your revenue by eliminating fraud. 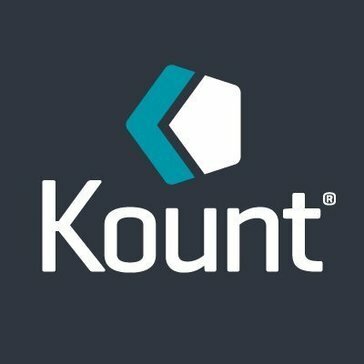 Kount has a rules based engine to fight fraud. Our business is able to set up the rules around our products and our customers to combat CNP fraud. Kount has very attentive SMEs that are there when ever you need them We were able to drastically reduce chargebacks using Kount. Kount also has easy reporting and you are able to see how the rules you have implemented are functioning. There is really nothing I dislike about Kount. The tool is robust and user friendly. Consider how much time you have for agents to devote to Kount. Have agents completely dedicated so that you can get the most out of Kount. Our CNP fraud has been reduced. We are able to see more deeply into our customer behavior and stop fraud before chargebacks occur. * We monitor all Kount Complete reviews to prevent fraudulent reviews and keep review quality high. We do not post reviews by company employees or direct competitors. Validated reviews require the user to submit a screenshot of the product containing their user ID, in order to verify a user is an actual user of the product. Hi there! Are you looking to implement a solution like Kount Complete?